The Telfer Executive MBA academic team combines academic background with practical industry knowledge. Our faculty members are respected international authorities in their chosen fields. A majority of our members have extensive experience through their active consulting and work within both the private and public sectors. Through the combination of work experience and academic achievements, they possess the practical experience to link their disciplines with the evolving business world. Our faculty members are more than just lecturers. They are excellent communicators as well as facilitators of active discussion. Their method of teaching combines practical orientation, the case study approach, active discussions, experiences of real business consulting projects as well as innovative methods to relay the learning objectives of the Program. Most of our faculty lives within Ottawa, allowing for regular consultation, feedback, guidance, and advice outside of the classroom and throughout the course of the Program. Dr. Pavel Andreev is an Associate Professor of Business Analytics and Performance Management, Coordinator of the Business Analytics and Information Systems Section at the Telfer School of Management. He earned his Ph.D. in the Department of Industrial Engineering and Management at Ben-Gurion University of the Negev, Israel. His dissertation was focused on the impacts of information and communication technologies (ICT) on personal activities such as teleworking, telemedicine, teleshopping, tele-learning, telebanking, and tele-leisure. Andreev’s research interests are related to modeling and exploring performance of commercial and non-commercial organizations on individual, team, and organizational levels. Awarded an NSERC Discovery Grant (2013-2018), he is developing methodologies that enhance healthcare practitioners’ care delivery in interdisciplinary healthcare teams. He is also interested in the organization of Peer-Production (e.g. Open Source projects), Open Innovation, Social Networks, Mobility, Healthcare Information Systems (HIS). Andreev’s research projects cross several distinct disciplines and are international in scope. During 2010-2011, he was a Postdoctoral Research Fellow at Sagy Center for Internet Research and the Study of the Information Society, the Graduate School of Management, and the University of Haifa, where his main research focus was on exploring Smart Phone user patterns. Previously, he spent a year as a Research Fellow at Business Information Systems, University College Cork, Ireland where he was engaged in the Open Code, Content and Commerce (O3C) project; their collaboration is ongoing. The results of Andreev’s research was presented and published in leading conferences such as International Conference on Information Systems (ICIS), European Conference on Information Systems (ECIS), IFIP and journals such as Health Policy and Technology, International Journal of E-Business Research, Transportation Research part C: Emerging Technologies, Behaviour & Information Technology, and Electronic Markets. Peter is a trusted advisor, business consultant and private equity investor. He the CEO of Venturing Hills Corporation, a General Partner with Hello Ventures, serves on the Board of a number of companies, and is a Faculty member with the Telfer Executive MBA. Experience includes senior executive roles at Nortel (when it was a Fortune 100 company), as CEO, as mentor, and as a corporate investor. He has extensive corporate, community and education Board and Advisory Board experience. Distinctions include the Nortel President’s Award for Manager of the Year, and the Queen’s University Jenkins Trophy, awarded annually ‘to the graduating male athlete who best displays qualities of scholastic achievement, competitiveness, leadership, sportsmanship, dedication and exceptional contribution’. A lawyer by profession, Peter (Queen’s University LL.B, MBA) was called to the Ontario Bar in 1982. He is a Canadian and European Union citizen. Jonathan Calof is recognized as one of the leaders in competitive intelligence. As Director of INTRAN (Intelligence Teaching and Research Academic Network), a global intelligence network, and Board member for CASIS (Canadian Association of Security and Intelligence Studies), Jonathan has given over 1000 speeches, seminars and keynote addresses around the world on competitive intelligence and has helped several companies and government agencies around the world enhance their intelligence capabilities. In recognition of his contribution to the competitive intelligence field, Jonathan was presented with Frost and Sullivan’s lifetime achievement award for competitive intelligence and the Society of Competitive Intelligence Professional's (SCIP) Catalyst award. Interest in his work has also resulted in several interviews on radio and in print around the world, with features in national publications. He is also a prolific author with over 100 publications to his credit. In addition to his involvement in the consulting and academic world, Dr. Calof is also a director with Success Nexus, a Malaysian biodiesel company and RoboCoder, a Canadian software company. In these executive capacities, Jonathan uses intelligence to identify technology trends and market opportunities. Ian Cullwick is a Partner in Mercer’s Ottawa office. He joined Mercer in 2015 after having served as the Vice-President of HR and Organization Research at the Conference Board of Canada, and as a Partner at major international consulting firm. Ian specializes in human capital strategy, governance effectiveness, total compensation strategy, performance management, and organization design. Ian consults to a broad cross-section of organizations in both the private and public sectors, including high technology companies, financial institutions, crown corporations, health care and not-for-profit organizations. He is also a noted thought leader and has authored a number of articles on organization, performance and compensation. Ian also taught an MBA course on High Performance Organizations at a Canadian business school. Ian has an MBA from the Ivey Business School [Western University], an MIR from the University of Toronto and an undergraduate degree from Queen’s University. He is also a former member of the Children’s Hospital of Eastern Ontario’s Board of Trustees, and serves on the Compensation and Performance [Standing] Committee of the Royal College of Physicians and Surgeons. Ian is also the former Chair of the Board of the Ottawa YMCA. Lynn Davies has over 30 years of organizational consulting experience and has been teaching in the Telfer Executive MBA since 2003. Prior to her consulting career she had a 12 year career at increasing levels of responsibility in the Municipal Sector. She is currently the Academic Director for the Physician Leadership for Quality and Safety in Telfer’s Executive Education Programs, where she also acts as faculty in several other programs. Her teaching specialties include Leadership, Change Management and Team Development. For the past 30 years, Lynn has consulted widely to all levels and many departments in the Federal, Provincial and Municipal governments, the hospital sector and the private sector. She has also counted among her clients the Canada School of Public Service, the Bank of Montreal, Nortel, Mitel, the Department of Justice, the Cities of Ottawa and Kingston, the Pembroke General Hospital, Business Simulations International and Queens University. She was intensely involved in multi-year post amalgamation consulting assignments with the City of Kingston and City of Ottawa. She has maintained an executive coaching practice since 1985. Her experience as a manager and her reputation as a dynamic, insightful and people oriented facilitator and team player contribute to her reputation as a seasoned consultant. She has volunteer experience on the Board of the Canadian Institute of Research and Education in Human Systems and has published work in the area of women in the workplace. She holds a BSC from University of Ottawa and an MA in Human Systems intervention from Concordia University. She has also done post graduate studies in Coaching, Gestalt Therapy, and Jungian theory. Her professional mission is to help individuals, teams and organizations organize and manage for dignity, community and meaning. Justin is the founder and Executive Partner of Totem Hill, a boutique management consulting firm providing Corporate Strategy and Transformation services internationally. Justin is an experienced, active and engaged executive with more than 20 years of progressive Profit & Loss responsibility and extensive large-scale change experience having led complex organizational transformations with Fortune 100 companies. A former executive in a global consulting firm, Justin advises leaders around the world on strategy development. With a Masters in Business Administration, faculty positions in leadership development and extensive training in a wide range of models of strategy, leadership and organizational transformation, Justin effectively weaves together both theory and practice in getting results. Justin has had exposure and success in a wide range of organizations and cultures. He has worked extensively supporting early stage technology companies as they navigate the dynamic path to growth through to exit as well as with large privately held and publically traded companies operating in both single and global markets. This is combined with experience at the local, regional and national levels of governments in North America and Europe. Justin has a speciality interest as an active investor in, and advisor to, early stage renewable energy companies. Dr. Jamal Hejazi is a senior member of the Gowlings Transfer Pricing and Competent Authority team. Working in conjunction with the Firm's National Tax Practice Group, Jamal helps organizations optimize their global tax position and reduce exposure to unfavorable audit assessments through proper tax planning and implementation strategies. He has been involved in work for a number of industries including automotive, pharmaceutical, energy, computer software, gaming, manufacturing and services. He also specializes in intangible valuation and has done work for both the technology and biochemical sectors. Prior to joining Gowlings, Jamal was a senior transfer pricing economist with the Canada Revenue Agency, where he participated in the resolution of a number of transfer pricing issues, including the relief of double taxation on Canadian corporations. He was instrumental in the negotiation of Advanced Pricing Agreements between Canada and foreign tax authorities. Jamal has also held a faculty position at the University of Windsor, and was a lecturer at both Carleton University and the University of Phoenix. He has also served as an expert witness at the Tax Court of Canada. Complementing his graduate degrees, Jamal has recently earned the Registered Professional Accountant (R.P.A.) designation. He is currently completing his CPA designation in the State of Illinois. In September 2011, Gowlings was recognized by the International Tax Review as Canada’s Transfer Pricing Firm of the Year. Derek Howe is a seasoned executive with over 15 years of progressive financial, operational and negotiating experience within the engineering, real estate and construction industries. He is recognized as a leader in the Ottawa marketplace, who has been directly responsible for the origination, execution and development of over three million square feet of real estate and construction in the office, industrial and residential sectors representing over $1.0B dollars of economic activity. Currently, Derek is the Chief Operating Officer of Zibi Canada, slated to be one of the worlds most sustainable communities. Situated on the Ottawa River, on the former Domtar Lands, Zibi is a master planned community consisting of 3.8M sq. ft. of residential, commercial, retail and mixed use real estate. The project will eventually house some 2,000 units and be home to a vibrant urban community. Derek received his Masters of Business of Administration, in 2013, from the Richard Ivey School of Business in London, Ontario. Professor Dana Hyde holds an Honors Bachelor of Arts in Business Administration and a Master's of Business Administration from the Richard Ivey School of Business at the University of Western Ontario, and a Ph.D. in Management from INSEAD, Fontainebleau, France --recognized recently by Business Week magazine as the world's leading global business school -- with a specialization in Strategy. Prior to joining the University of Ottawa, Professor Hyde taught at Babson College, which has the US' leading undergraduate and MBA programs in Entrepreneurship; and at the Ivey School of Business, where she won a faculty teaching award in both years. Several of the case studies Professor Hyde produced at INSEAD and IMD are worldwide bestsellers and have won international awards. Now a full-time independent consultant in strategic and organizational change to several public and private sector organizations in the Ottawa region, including extensive work with an international government department, over the past twenty years Professor Hyde has worked as a consultant and researcher in many countries in Western Europe as well as in the US. Professor Hyde is also a Visiting Professor at Vlerick Management School (Ghent, Belgium and St. Petersburg, Russia). Professor Hyde's interests include the linkages between organizational innovation and business innovation: how organizational practices and systems can drive, facilitate, or hinder business innovation; sparking and sustaining strategic and organizational change at all levels of the organization; the human processes involved in effective management consulting; strategy and the management of change in the public sector; corporate entrepreneurship for strategic renewal in medium-sized and large firms; horizontal management, including cross-business relationships among organizational units; corporate strategy in multinational multi-business firms, including the role of the corporate centre; and the integration process in mergers and acquisitions. Laurent is a full professor and holder of the Ian Telfer Professorship in Workplace Behaviour and Health at the Telfer School of Management. His educational background is in industrial-organizational psychology and business administration. He focuses his research on leadership and on occupational health. In his work on leadership, he gives particular attention to the influence that followership can have on leadership. Leadership is fundamental to organizational success. Yet, one cannot be a true leader without having at least one follower, implying that followership is also critical for organizational success. As research further clarifies what it takes and what it means to be an effective follower, knowledge will be gained to ensure individuals contribute as much as possible to their organization's success by supporting leadership. His work on occupational health has focused on work-family conflict, which refers to the stress-inducing incompatibility between one's work and family obligations. Such conflict is related to a host of problems, such as poor employee health, dissatisfaction at work and at home, poor job performance, as well as increased absenteeism and turnover. Laurent’s work has revealed that the organization, the immediate manager, coworkers, the employee, and the employee's family can each play a significant role in reducing work-family conflict. He has identified specific actions that each party can take to achieve this goal. Laurent’s research has been published in scientific journals that are among the most respected in the fields of management and applied psychology, such as the Journal of Management, Personnel Psychology, the Journal of Organizational Behavior, the Journal of Occupational Health Psychology, the Journal of Vocational Behavior, The Leadership Quarterly, and the Journal of Occupational and Organizational Psychology. He currently serves as Associate Editor of the Journal of Business and Psychology and on the editorial boards of the Journal of Vocational Behavior, the Journal of Occupational Health Psychology, and Group & Organization Management. Laurent is a passionate and committed teacher. He has been invited to teach in MBA programs in various countries, including France, Romania, and China. The University of Ottawa awarded him an Excellence in Education Prize for demonstrating outstanding teaching while maintaining a solid program of research. Rebecca Leaver integrates a background in depth psychology and adult learning. The Myers Briggs Type Indicator has been a key tool in her transformative work with individuals and organizations for over twenty years. Rebecca is expert in interpersonal communications, change management and team building. Her philosophy is that the quality of our lives turns on the axis of understanding and communicating with others. Rebecca’s ability to support participants in reaching deeply into their learning process has led to her reputation as a compassionate teacher and facilitator. Rebecca has a Ph.D. in psychology, with postdoctoral work at the C.G. Jung Institute in Chicago and the C.G. Jung Institute Zurich, Switzerland. She is currently working on a manuscript of poetry. Farzad Mahmoodi is Joel Goldschein '57 Endowed Chair Professor in Supply Chain Management, and the Director of Clarkson’s Global Supply Chain Management Program. This program has been ranked as one of the Top-20 supply chain management programs in the nation by U.S. News & World Report for 13 years. Dr. Mahmoodi received his B.S. in Mechanical Engineering in 1982, M.S. in Industrial Engineering in 1983, and Ph.D. in Industrial Engineering in 1989 from the University of Minnesota at Minneapolis. Dr. Mahmoodi’s research interests are in supply chain systems design and management, scheduling of cellular and flexible manufacturing systems, quality management, and systems modeling and simulation. He has published more than 80 articles in a variety of journals, including Decision Sciences Journal, International Journal of Production Research, Journal of Operations Management, European Journal of Operational Research, International Journal of Applied Management Science, International Journal of Operations and Production Management, Computers and Industrial Engineering, International Journal of Computer Integrated Manufacturing, International Journal of Production Planning and Control, International Journal of Flexible Manufacturing Systems, International Journal of Management Science-Omega, International Journal of Production Economics, International Journal of Industrial Engineering, International Journal of Integrated Supply Management, Supply Chain Forum: An International Journal, The Logistics and Transportation Review, Supply Chain Management Review, Quality Progress, Journal of International & Interdisciplinary Business Research, as well as a variety of edited books and conference proceedings. He has presented papers at numerous national and international conferences, and has performed consulting projects for several Fortune 500 and mid-size companies. Dr. Mahmoodi has been involved in executive education for more than two decades and has regularly taught graduate and executive level courses in the United States, Canada, and France. He has served as the Director of Engineering and Global Operations Management graduate program for working professionals, as well as the Director of the Supply Chain Management Executive Seminars- attended by several hundred supply chain professionals from 80 companies, including more than 30 Fortune 500 companies. He was inducted to Phalanx (Clarkson University’s highest recognized honor society) in 2004, and has been the recipient of the 2015 Clarkson University Student Association Outstanding Teaching Award, the 2007, 2010, 2011, 2013, 2015 and 2016 Professor of the Year Award (MBA Module), the 2012 and 2014 Beta Gamma Sigma Ralph Janaro Memorial Faculty Award, the 2004 Commendable Leadership Award, 1998 Clarkson University Distinguished Teaching Award, 1995 Clarkson University John W. Graham, Jr. Faculty Research Award, the 1995, and 1997 School of Business Faculty Leadership Award, the 1994 Tau Delta Kappa Teacher’s Excellence Award, and 1990 Clarkson University Computer Curriculum Award. Dr. Mahmoodi serves on the editorial boards of the International Journal of Industrial Engineering, and International Journal of Integrated Supply Management. Daina Mazutis is an Assistant Professor of Strategy at the Telfer School of Business, University of Ottawa, where she also holds an Endowed Professorship in Ethics, Responsibility and Sustainability. Her areas of interest are strategic leadership, decision making and responsible business. Prior to joining the university of Ottawa, Daina was a Professor of Strategy, Leadership and Ethics at IMD in Lausanne, Switzerland. She has also taught at Sun Yat-Sen University in Guangzhou, China and the Stockholm School of Economics in Riga, Latvia. She obtained her PhD in Strategy at the Richard Ivey School of Business, University of Western Ontario. Daina’s previous executive education clients include Mearsk Line, Fazer, Skanska, JTI, Stora Enso, ABB, Akzo Nobel, Neste Oil, Danish Rail, PostNL and Aecon amongst others. She has also delivered sessions in numerous open enrollment programs. Prior to entering academia, Daina spent over 10 years in advertising, marketing, consulting and sales. She specialized in the strategic planning, research, development and implementation of national marketing campaigns for large multi-national clients such as Pfizer, Avon, Nivea Beiersdorf, Helene Curtis, IBM, TD Waterhouse, Tommy Hilfiger, Pepe Jeans, Columbia Laboratories and Canada Post. Daina has authored research papers, book chapters and conference presentations on leading across levels, leading with character and leading for sustainability. Her work has been published in the Journal of Business Ethics, The Academy of Management Learning and Education, Business Horizons, Business & Society, Management Learning and the Annals of Social Responsibility. She has also presented extensively at international conferences and co-authored several best selling cases including managing growth at Research in Motion and organizing for success at Skanska. In addition to over 20 other academic awards, Daina was also a Trudeau Scholar, Canada's top honor for doctoral students working in the domains of human rights, responsible citizenship and the environment. She remains the first and only business scholar to have ever received this distinguished award. Francis A. Mensah combines experiences in accounting, finance and risk management. He is currently preparing a doctorate in project management at the Université du Québec en Outaouais. Previously, he held various positions at Export Development Canada (EDC) such as Director, corporate accounting and Manager, treasury accounting within the Corporate Finance and Control group. He has more than fifteen years of industry experience, as he also held various risk management positions during his career at EDC. Mr. Mensah joined the Telfer Executive MBA during the winter of 2009, building on his experience as a part-time professor at the Université du Québec en Outaouais. Mr. Mensah is a certified public accountant and a chartered financial analyst. Furthermore, he received training from the Risk Management Association. He acts as a mentor for entrepreneurs in developing countries for Enablis. Mr. Mensah holds an MBA in Finance from the Université Laval where he was awarded a scholarship for excellence. Michael Miles actively engages in research and consultation in international leadership practice (focus on China and Romania), organization design, governance, change management, and the use of simulation in teaching real-world business skills. He is an active consultant with North American clients such as Pratt & Whitney, the Bank of Montreal, and the Red Cross. His current international clients include the China National Petroleum Corporation, Vodafone, Coca-Cola (Romania), L'Oreal, and Wyeth Pharma Group. Dr. Miles has held faculty positions at numerous universities and is currently a full-time faculty member at the Telfer School of Management. He alternates residence and focus between China, Thailand, and Romania where he works on and researches global management issues. Dr. Mulvey is an Assistant Professor of Marketing at the University of Ottawa's Telfer School of Management (2003-present). Previously, he held research and teaching positions at Rutgers, The State University of New Jersey (1996-2002) and Penn State University (1993-1996). He has also served as a visiting professor at Rutgers Business School (2005-06) and the Bucharest School of Management (2006-2010). At Rutgers, Dr. Mulvey was named GE Teaching Fellow in 2000 for his innovative use of technology in the classroom and he was a three-time finalist for the Paul Nadler Award for Teaching Excellence and a finalist for the Thomas H. Mott Teaching Excellence Award. He was nominated for TVO's 2010 Best Lecturer Competition and was a finalist for the University of Ottawa Award for Excellence in Teaching in 2009-10 and 2010-11. Dr. Mulvey's research focuses on how products, brands and behaviours gain personal relevance to consumers. He is an expert in using qualitative research methods such as metaphor elicitation, means-end theory and the laddering technique to uncover how customers think. His recent research examines branding and positioning strategy, advertising design and testing, and perceived value and consumer choice. Dr. Mulvey's articles have been published in journals including The Journal of Retailing, The Journal of Public Policy and Marketing, International Journal of Research in Marketing, Advances in Consumer Research, Journal of Leisure Research, NMIMS Management Review, Qualitative Market Research, and Innovative Marketing. He has presented his work at many international conferences and often shares his expertise as a commentator in the media. Dr. Mulvey has provided marketing consultation and expert witness services to clients in the financial services, tourism, consumer-packaged goods, retail, and not-for-profit industry segments. Past clients include Bank of America, Corporation for Public Broadcasting, Harrah's Casino, Hilton Hotels, Motorola, New York State, Panasonic, ShopRite Supermarkets, Toyota, and United Way. He has also provided expert testimony to the Ontario Superior Court of Justice, Superior Court of Quebec, Federal Court of Canada and Competition Bureau Canada regarding brand confusion, trademark infringement and price deception. Ms. Laurel Murray has been a Chartered Accountant since 1989 and is the President of Murray Management Consulting, a Canadian management consulting firm specializing in helping strengthen public sector management and accountability. As President of Murray Management Consulting, Ms. Murray has extensive experience working with government departments, agencies and crown corporations to develop and implement practical and cost-effective governance and accountability models, frameworks, strategies and tools. She was also the lead in developing the federal government’s Guidebook for a Departmental Audit Committee as well as the Guidelines for Audit Committees of Crown Corporations and Other Public Enterprises. Ms. Murray is a member of the Board of Directors for Pine River Foundation and the Eastern Ontario Regional Laboratory Association. She is the recent past Chair of the Audit Committee of the Office of the Privacy Commissioner of Canada. She was a Corporate Director at the Liquor Control Board of Ontario (LCBO) and the Chair of the LCBO Audit Committee, the LCBO being one of the largest Crown Corporations in Canada with annual revenue of more than $5 Billion. Mr. Potter is a seasoned executive in the field of Information technology and Executive Management. Dale has worked with many global best in class companies with responsibility for large complex program delivery, global line organizations and significant investment portfolios. Mr Potter is recognized internationally as a thought leader and innovator in healthcare process standardization and optimization.?? Dale’s experience includes the Executive Vice President, Health System Innovation at The Ottawa Hospital which is one of the largest Academic Health Science Centers in the country. 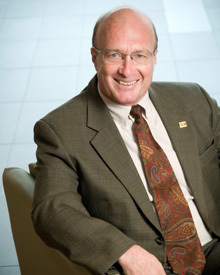 Dale joined The Ottawa Hospital in 2008 as the Senior Vice President and Chief Information Officer. Prior to his mandate at the hospital, Dale spent more than 8 years in Senior Executive Information Technology leadership roles for Global, World Class Manufacturing Corporations, as the CIO of Alcan Engineered Products based in Paris France and CIO of Bombardier Transportation based in Berlin Germany.?? In the first 10 years of Dale’s professional career, Dale gained international experience as a Solution Architect in Top Tier Consulting Organizations developing solutions and strategies for many large Global Corporations. Mr. Potter currently holds the status of Adjunct Professor at the University of Ottawa Telfer School of Business. Dale has an Executive MBA from the Telfer School of Management and is also a PhD candidate at the Sprott School of business. His personal interests include travelling, sailing, skiing, and traditional woodworking. Dale has three sons Tristan, Zachary and Maxwell. 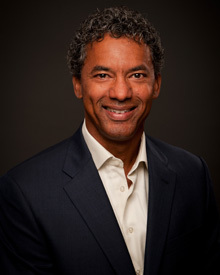 Gregory Richards is currently the Professor of Performance Management at the Telfer School of Management. In this role, he is conducting research into best practices related to the use of performance information systems and processes. He is also developing Corporate Performance Management courses which integrate the use of Business Intelligence tools. Greg has industry experience with Cognos and in the Federal Government at Transport Canada and Consulting and Audit Canada. Having consulted widely with private and public sector organizations in both the US and Canada, he is a Certified Management Consultant and was recently named a Fellow of the Institute of Certified Management Consultants of Ontario. 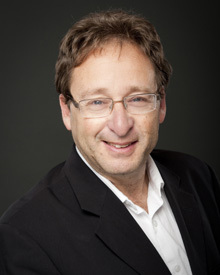 Greg has taught at the University of Ottawa since 1995 on a part-time basis and was a visiting lecturer at the Office of Personnel Management's Western Management Development Centre. His research interests include technologically-enabled management process innovation, learning organizations, knowledge flow in organizations, and the development of performance-oriented organizational cultures. He takes a special interest in performance management in public sector and not-for-profit organizations. B.Eng. ; McMaster University; P. Eng. Shafique Shamji is currently the Executive Vice President and CIO of The Ottawa Hospital. Prior to that Mr Shamji served as Chief Operating Officer at Macadamian Technologies, headquartered in Gatineau, PQ with offices in Toronto, California, Armenia and Romania; President of Privasoft Corporation, headquartered in Ottawa with offices in Arlington, Virginia and Brentford, United Kingdom; and, President of Time iCR in Ottawa, which was acquired by Sprint Canada / Rogers Communications where Mr. Shamji served as the Vice President of Professional Services. With over 25 years of experience in Telecommunications, IS/IT, and Software Development, Mr. Shamji has also spent several years in the US where he was Chief Operating Officer of TeleHub Network Services in Chicago, President of LD Exchange in Santa Ana California, and Vice President of Network Services for Fidelity National Information Systems in Irvine, California. Prior to that, Mr. Shamji held several senior level positions in Toronto with AT&T Canada, Unitel Communications as well as Engineering and Product Marketing positions with Nortel in Brampton, Ontario. Mr. Shamji is an active member of the Aga Khan Volunteer Corps of Ottawa and was a previous Judge in the Telfer School of Management Leadership Challenge. He has also served on the Boards of TeleHub Network Services, Time iCR, Privasoft and was a member of the Governance Committee of the Ottawa Montessori School Board. Mr. Shamji has a Computer Engineering degree from McMaster University in Hamilton and received his Professional Engineering designation in 1991. David has 30 years of experience spanning the private and public sectors supporting projects in Africa, Asia, Australia, Europe, North America and South America. David’s focus for the last 19 years has been on Corporate Indirect Procurement. In 2006 David joined Accenture as the Global Category Director for Professional Services. Prior to joining Accenture, David was a Director at Nortel Networks with responsibility for leading a global team overseeing strategic sourcing and category management activities in the corporate services domain. David’s experience includes negotiating a wide variety of large scale strategic sourcing and BPO engagements involving the outsourcing of various services including Contingent Labour, Corporate IS, Finance, HR, Legal, Payroll, Procurement Services and other areas of professional services. David has experience across the consumer products, financial services, health, natural resources and technology industry sectors. David holds a Bachelor of Engineering Degree from Carleton University and he is a Registered Professional Engineer. David also holds an MBA from the University of Ottawa.